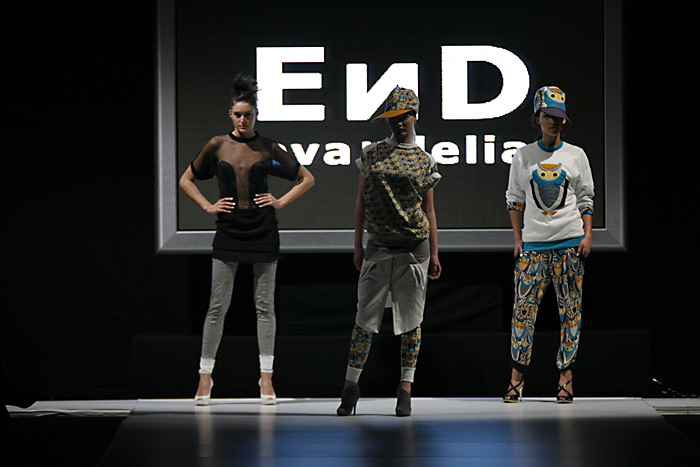 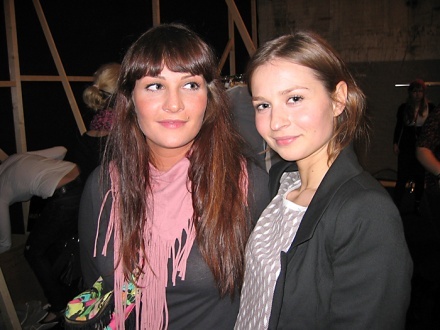 Eva van Overbeeke and Delia Drel are the designers behind the streetwise fashionlabel EnD. 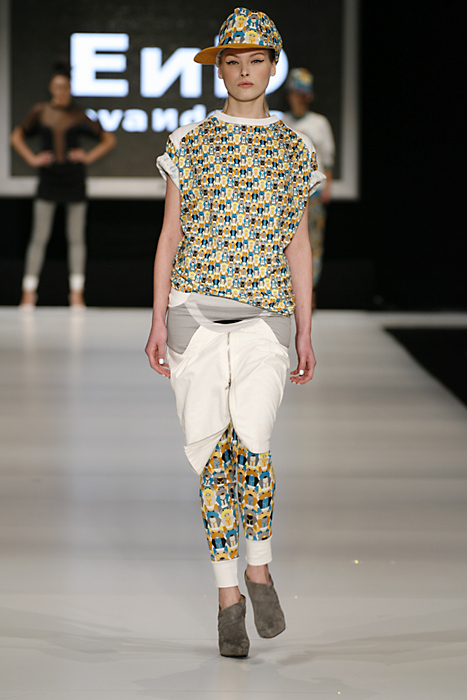 They sent out a colourfol, strong collection for tough girls. 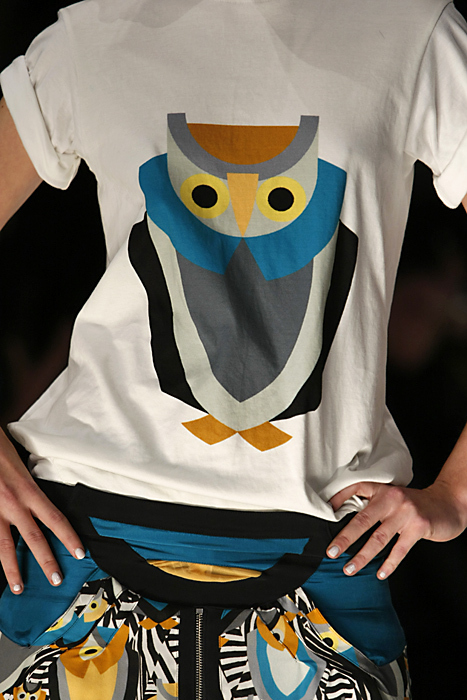 The graphic design of little animals was playful and added some juice to the sportswear-inspired clothes.